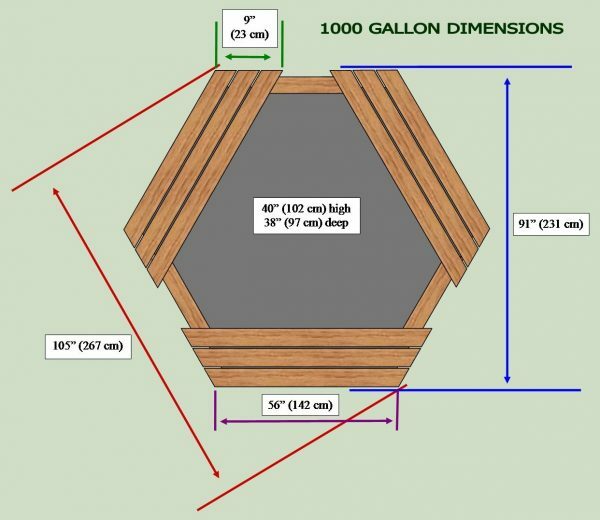 The Lifegard Aquatics TRIPLE ALL-IN-ONE POND FILTER SYSTEM is compact and submersible. It eliminates complicated external plumbing and leaking pipe concerns. This filtration solution boasts an expandable design to boost filtration capacity! Optional add-on cartridge units (sold separately) increase filter capacity with an additional layer of 2-stage mechanical filtration. Lifegard Aquatics All-In-One Pond Filter System provides mechanical and biological filtration, algae and bacteria control with the built-in ultraviolet sterilizer and creates a beautiful, soothing water display with the included fountain kit. 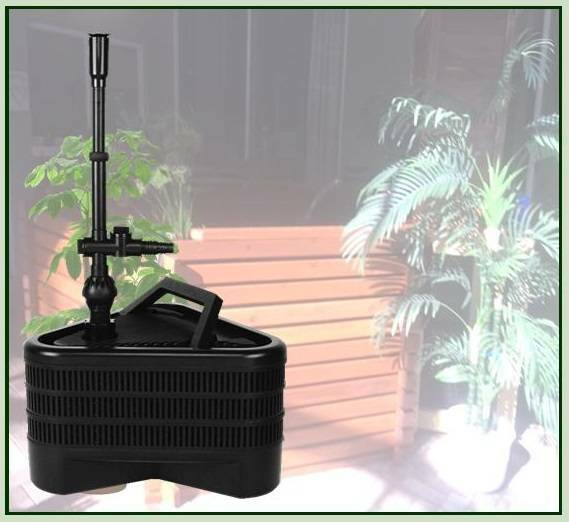 Compact, 3-in-1 submersible pond filtration system includes everything required for convenient operation right out of the box. 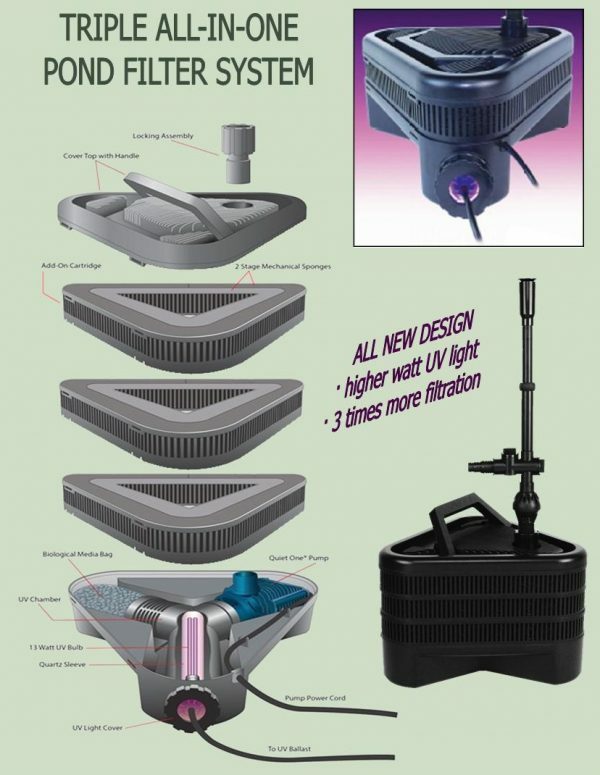 ULTRAVIOLET STERILIZER puts out 13 watts of intense UV light to kill free floating algae and other parasites. It comes with a separate 20 foot power cord that allows you to use it on an as needed basis, it doesn’t have to stay on all the time. A quiet, efficient model 4000 QUIET-ONE PUMP with 20 foot power cord powers the unit.